The Noble Curved is a heavy duty fire guard is made in Britian. The frame is made from strong black steel section with a Brass top and black powder coated mesh. 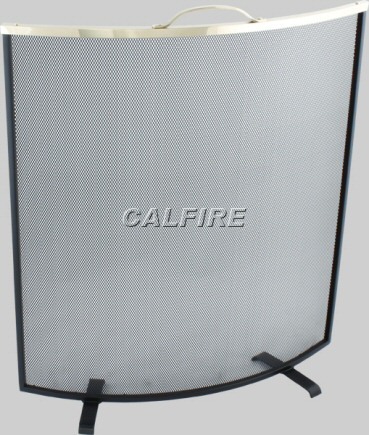 This firescreen has a gentle but attractive curve and is one of our best selling sparkguards.